Have you been checking out the pattern swap over at the perfect nose? 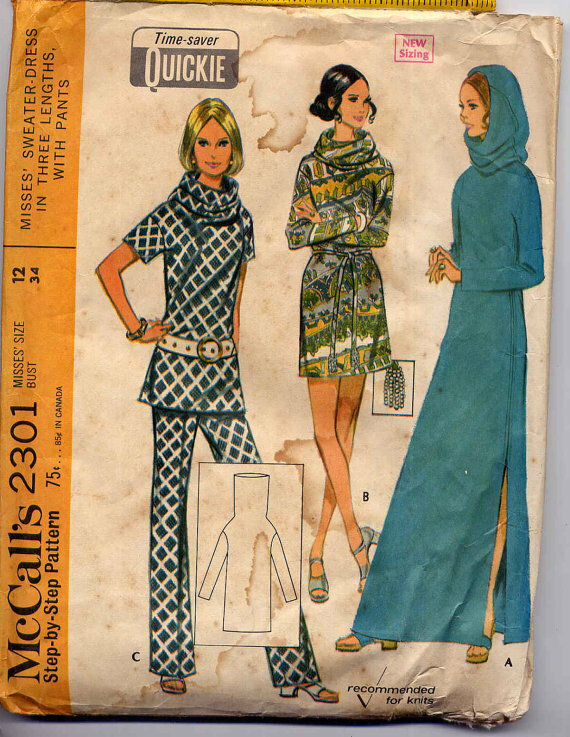 I’ll admit, I was looking at the patterns and judged a pattern by its cover. Specifically, this cover. Pretty hilarious right? That’s what I thought. Well did I get shown the error of my ways. Did you know that oonaballoona has also sewn this style? Go and look at it, and be prepared to be blown away. I couldn’t believe how flattering and amazing it looked on her. Apparently this style really flatters the ladies with ample chests, and hence the pattern art doesn’t do it justice. There are many patterns where the photos/styling don’t do the pattern justice, and the line drawings are really interesting. One that I find fascinating is Vogue 8504, which made up in mustard with 90’s hair looks quite plain, but you also can’t see the detail across the bodice. The technical drawing however shows the peplum is created by front and back pleats. I’ve taken to assessing patterns I pick up second hand by the line drawings only, as it’s too easy to be swayed by gorgeous cover art into something that’s shapeless and dull as I think the artwork is cute and retro. What looks lovely art-wise (especially in vintage patterns) can be a style that won’t suit my shape or lifestyle. 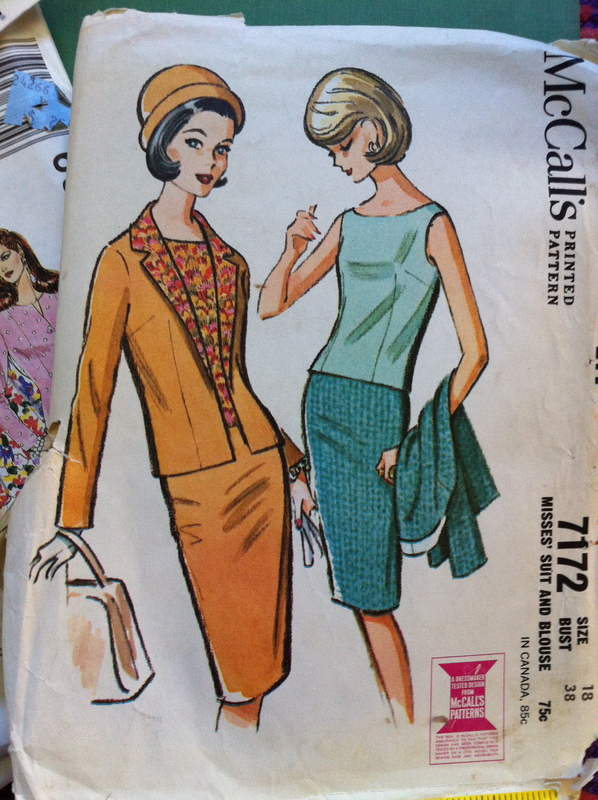 While feminists get up in arms about the unrealistic shapes that Barbie has, the waists of the 1950’s and 1960’s are non-existent on many pattern covers. The line drawings are without bias and artistic interpretation, and remove the stigma of prints and contrasting fabric. While eating some humble pie, I’ve decided to make my personal challenge by the end of the year to take a pattern (or two if time allows) that I have laughed at, scorned or otherwise made disparaging remarks, and create it into something modern and wearable. And honest to god wearable, not wear it once for the amusement of the internet. 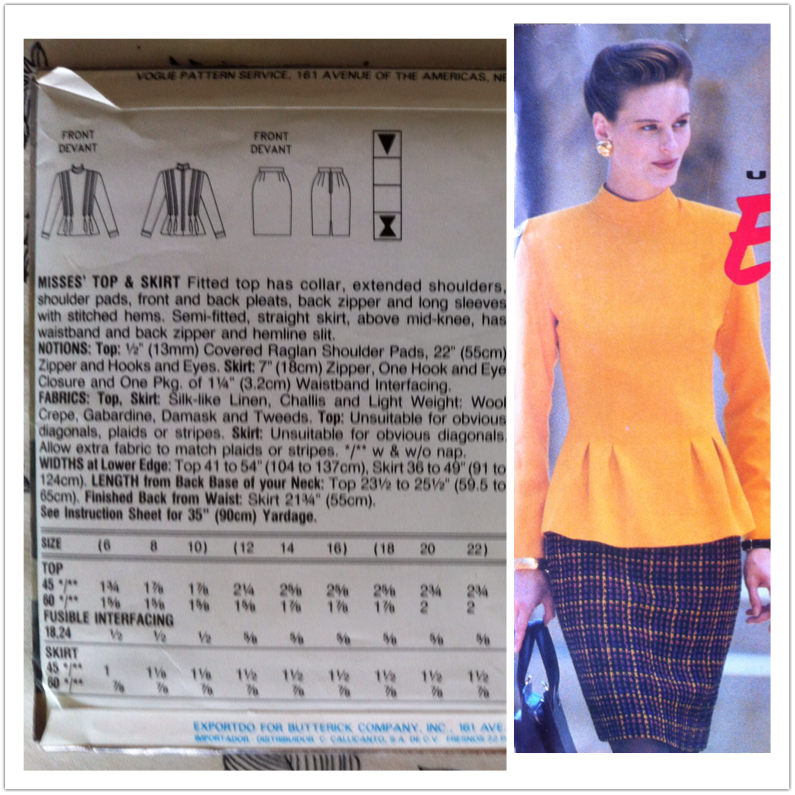 Have you ever made an item of clothing from a dubious pattern? SewbusyLizzy has a muu-muu pattern on hand…..Would anyone else be game for this challenge?